Bryant's search for a new employer is likely to stay on hold until the start of training camp, NFL Network insider Ian Rapoport reported, citing sources. A lack of interest among prospective teams is not the reason for the delay, according to Rapoport. Instead, Bryant is being patient throughout the process, having the mindset that he will be better able to find what he considers the right fit. Bryant, who was released by the Cowboys on April 13, reportedly turned down a deal with the Baltimore Ravens. He did write on social media recently that the San Francisco 49ers were a preferred destination but soon deleted the post. Earlier this week, Cowboys executive vice president Stephen Jones said he has been approached by other teams about Bryant at both the owners meetings and Competition Committee meetings. "I am sure Dez is being thoughtful," Jones told the Fort Worth Star-Telegram. "I don't know the details as to why he hasn't picked a home. I am sure he is being very thoughtful about it. I am sure he has good people talking to him too. I am sure at the end of the day he is being thoughtful about what his next steps should be. I am sure he is working hard. No one is rooting for Dez more than we are." 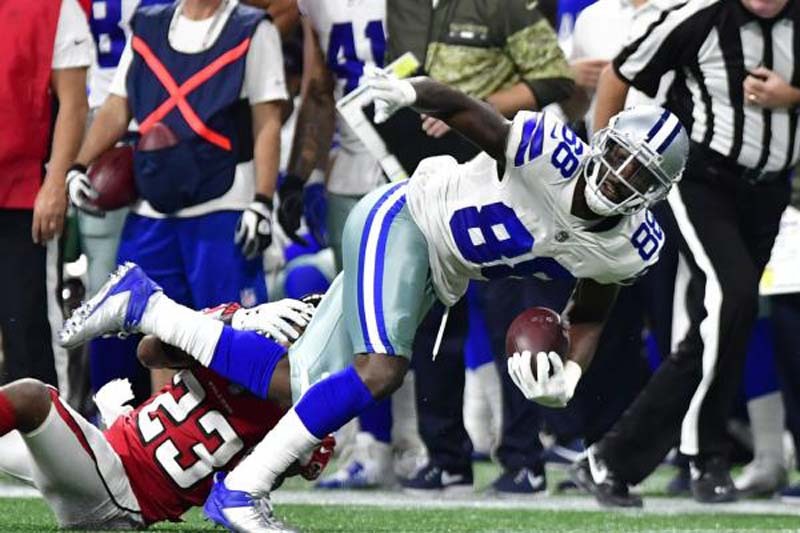 Bryant, who spent eight seasons with the Cowboys, had a team-leading 69 receptions for 838 yards and six touchdowns with Dallas in 2017. The 29-year-old has gone a career-worst 23 regular-season games without a 100-yard performance. Since signing a five-year, $70 million contract in 2015, Bryant has failed to record a 1,000-yard season or reel in more than eight touchdown receptions in a season. During that spectacular run from 2012-14, Bryant also averaged 91 receptions and put up at least 1,233 receiving yards in each of those seasons.